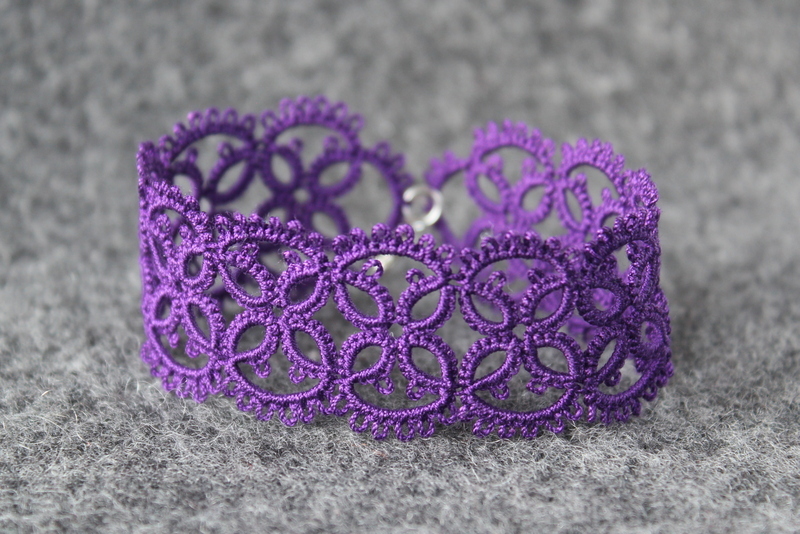 Unique bracelet in purple colour. 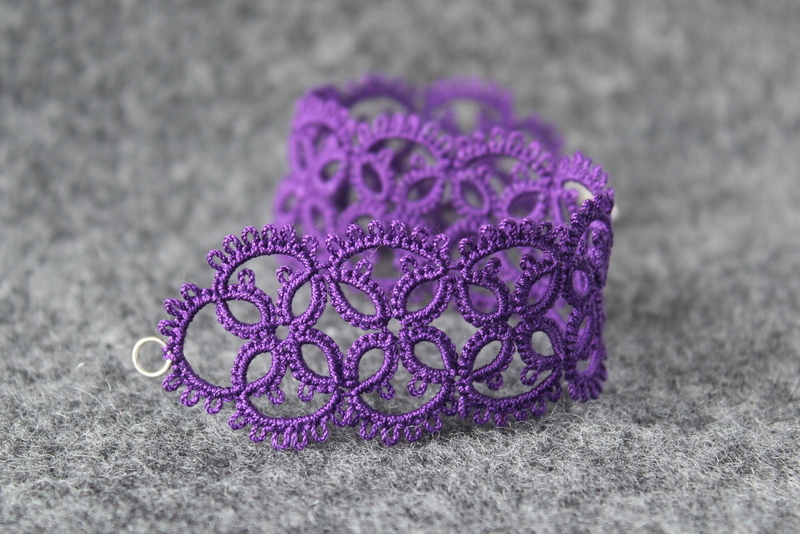 It’s made of cotton thread using shuttle tatting technique and then slightly stiffened. 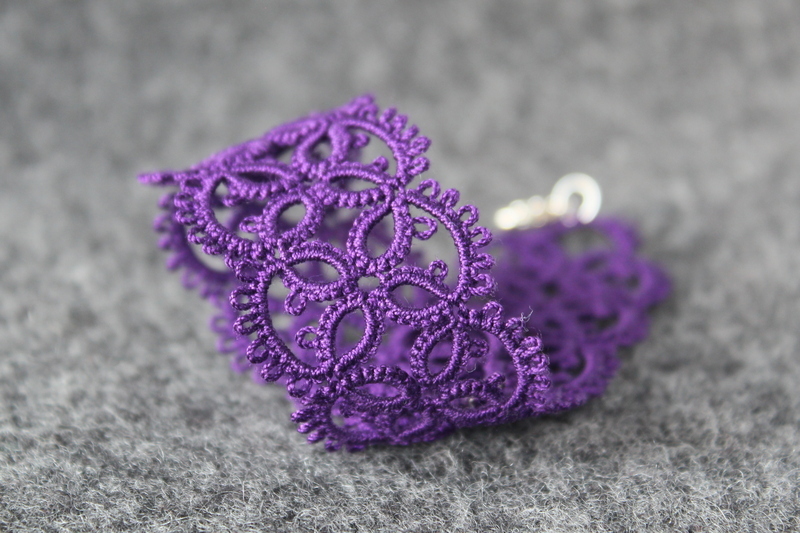 Closes with a small lobster clasp.